Carbohydrates are probably the most abundant and widespread organic substances in nature, and they are essential constituents of all living things. 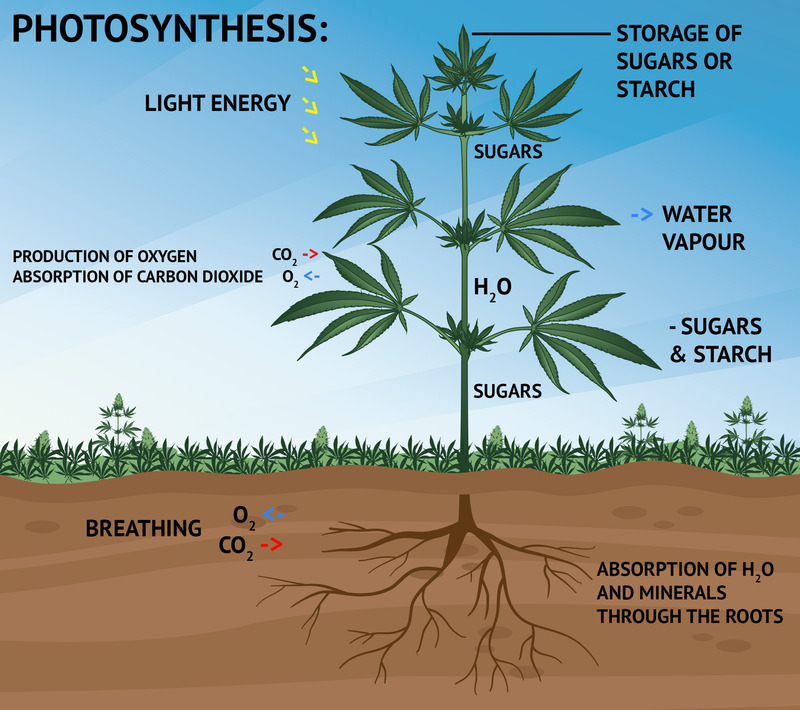 Carbohydrates are formed by green plants from carbon dioxide and water during the process of photosynthesis. Carbohydrates serve as energy sources and as essential structural components in organisms. 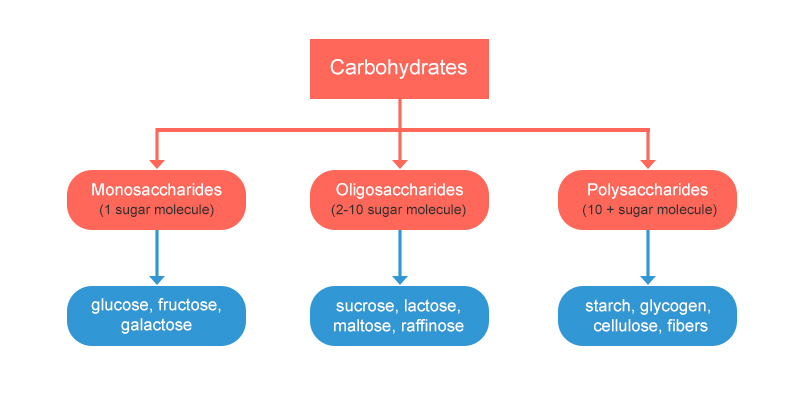 Carbohydrates are divided into four major groups: monosaccharaides, disaccharides, oligosaccharides, and polysaccharides. Monosaccharaides are simple sugars that can be found in grapes, fruits, and honey. Disaccharides, are formed by two molecules of a simple sugar that are linked to each other form a single, or double sugar. The disaccharide sucrose, or table sugar, consists of one molecule of glucose and one molecule of fructose. Oligosaccharides consist of three to six monosaccharide units. Polysaccharides (the term means many sugars) represent most of the structural and energy-reserve carbohydrates found in nature. Large molecules that may consist of as many as 10,000 monosaccharide units linked together, polysaccharides vary considerably in size, in structural complexity, and in sugar content. Why is this so important for plants? The importance of carbohydrates to living things can hardly be exaggerated. The energy stores of most animals and plants are both carbohydrate and lipid in nature. A number of medically important antibiotics, such as streptomycin, are carbohydrate derivatives. In plants, cellulose is the main constituent of plant cell walls and vegetable fibers; and is also composed of complex carbohydrates. The energy stored by plants during the formation of carbohydrates, is used to grow flower, fruits, and seeds which is essential in your plants’ life cycle. Complete Hydroponics Nutrients contain a rich source of complex carbohydrates; like Polysaccharides, and many others plant’s energetic boosters, such as phosphoglyceric acids. During photosynthesis, an immediate phosphorous-containing product known as 3-phosphoglyceric acid is formed. This element has been isolated and infused into the Complete Hydroponic formulas so your plants can have an extra access to a more sophisticated efficient nutritional capacity. This compound is very important because it can be transformed into cell wall components, varying amounts of sucrose, starch (depending on the plant type), and a wide variety of polysaccharides; act as an essential structural factor for plants’ healthy development. These products contain a supper charged concentration of complex carbohydrates, phosphogliceric acids, and polyuronic acids. "Grow Bigger and Better Plants"